It was an AMAZING launch. Who would expect anything less from New York City? 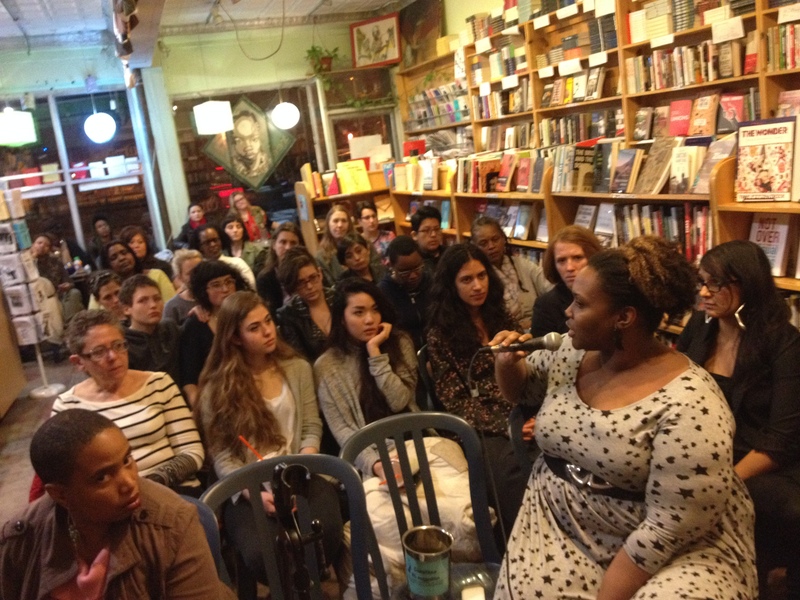 Thanks to the great folks at Bluestockings for hosting us. It was packed and we couldn’t fit enough folks along the aisles (not able to show in the pics!) and the added chairs around the bookstore. 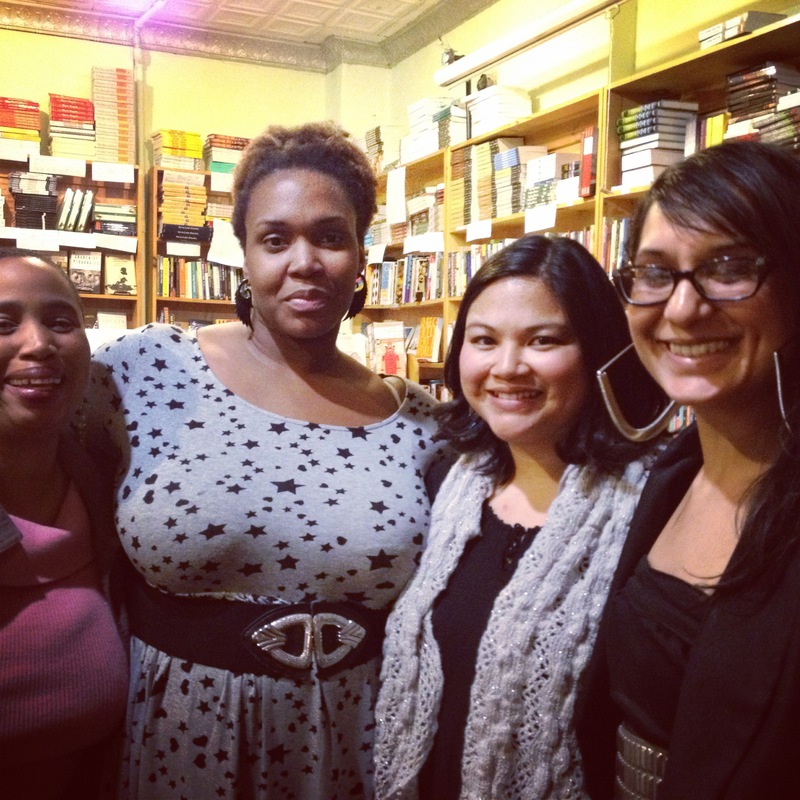 In the picture below, the readers were (L to R): Aishah Shahidah Simmons (foreword), Sydette Harry (“Special), myself, and anna saini (“An Unlikeable Survivor”).